Roof to foundation and everything in between! We inspect every part of your home, every system, every room. We are proud of our reputation for conducting through inspections. Our inspection process is a fully integrated, computer based system that allows us to fully document and efficiently report the conditions we find. It is not a check list type inspection. Our inspection process goes far beyond the typical check list, check the block and move on, type of inspection. 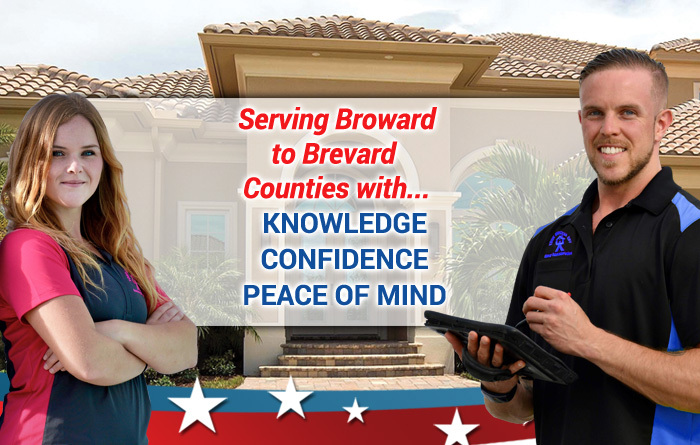 Our inspection process allows for individualized comments and ratings that accurately describe the condition of your property, not generic checks based on other properties. Our inspection process also includes individualized tips and recommendations for repairing, maintaining and caring for your home. Our inspection process is not static, it is based on years of inspection experience and thousands of inspections. I require my inspectors to make an improvement to our inspection process at the end of every inspection. I am proud to report that we are becoming more and more challenged in that. By the way, if you have ideas on how we can improve our inspection process please let us know! Your inspection is followed up by a thorough, comprehensive detailed and readable report. Read more about our inspection reports. Read more about what we inspect. Read more about our available services. Work closely with your real estate agent, insurance agent and mortgage officer to ensure that all your inspection requirements are covered. We can provide most inspections or help you arrange for specialized inspections. Read about our services. A good inspection depends on complete access to the structure, systems and system components. Work closely with your real estate agent or seller to make sure the home is completely accessible for the inspection. See our access checklist. You are invited and welcome to attend the inspection, but you are not obligated. Don’t worry if you cannot attend. We and your real estate agent will represent your interests at the inspection. You will receive a written report soon after the inspection that will answer your questions. If not, give us a call.